We are very proud to have partnered with ER24 Ambulance Service to provide our most vulnerable families with a life line like no other. On having their initial assessment (or if circumstances change) Our care team director Debra Sowter will ensure that a family is “Red Flagged” by ER 24. This means that in a life threatening emergency, ER24 will transport, and stabilise an Iris House child whilst transporting him or her to their nearest hospital free of charge. If a Red Flag is required Care Team Director Debra Sowter and Grant Stewart of ER 24 will come to the families home and Grant will guide the parent through the procedure to be followed. Emergency numbers are left at the home and the whole ER24 team is then briefed on the child’s medical history and particular syndrome, and care needs. 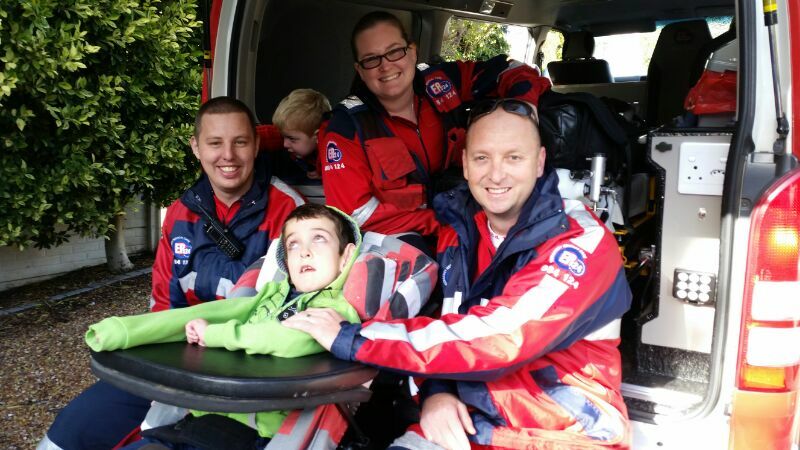 Grant also makes time to treat our children to a quick tour of the ambulance, even the emergency lights and siren… Thank You ER24 !! !